Welcome to this week’s edition of Aloha Friday! Thanks to Kailani at An Island Life, I participate in Aloha Friday each Friday! 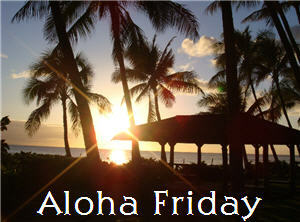 In Hawaii, Aloha Friday is the day that they take it easy and look forward to the weekend. So I thought that on Fridays I would take it easy on posting, too. Therefore, I’ll ask a simple question for you to answer. Nothing that requires a lengthy response. Have you ever been to New York before? 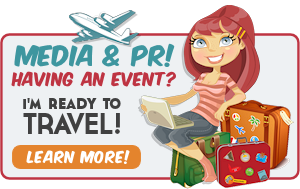 Are you going to BlogHer ’10 in August? I am so excited to be going in August. I can’t wait to see New York and all my blogging friends! It’s only 6 months away. I’ve never been to NYC, but I would LOVE too. Someday. Been to NY, but not attending the BlogHer. The site is US only so why attend the convention? Never been to NY but I’d sure like to go one day. Didn’t know about the convention. Aloha – following you. Yes and no. Been to NY but not NYC. Would probably be scared senseless if I went to BlogHer. I’ve been to NY only once! Hoping to go this June for the Halawai get together in Central Park! No I have never been to New York, and I WISH I was going to BlogHer. Would be so FUN!! I live in NY. I have only been to NYC a couple of times. I have never been to New York. I probably wont be going. As for BlogHer, I highly doubt I’ll be able to go this year-But we will see! Why yes . . . . here most days of the year 😉 Hubby and I both bought tickets to BlogHer and can not wait! Looking forward to meeting you. I’ve never been to NYC but it’s on my must-do list. No BlogHer for me this year. Hopefully, next year they’ll come back to the west coast. Yes, I have been to NYC. I had a great time exploring musuems, monuments, and plays with friends. I am not going to BlogHer. I would SO love to go to BlogHer, but it really doesn’t seem at all possible for this year.